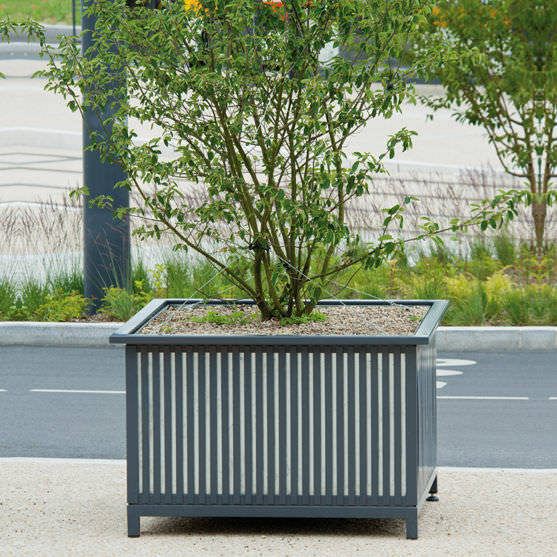 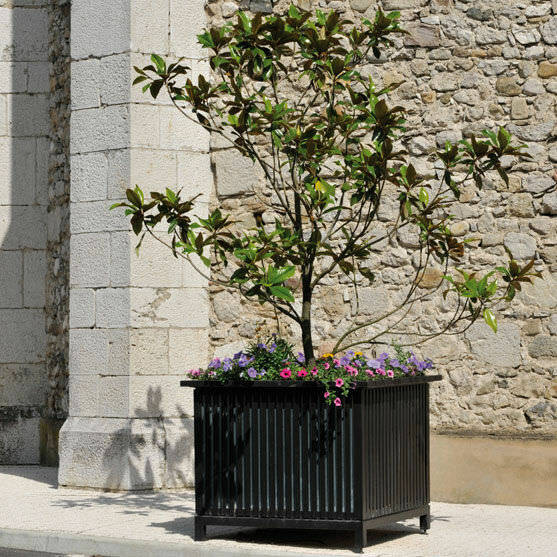 With its vertical flat steel pattern, the MOGADOR square planter slots harmoniously into the line of metal benches and litter bins. 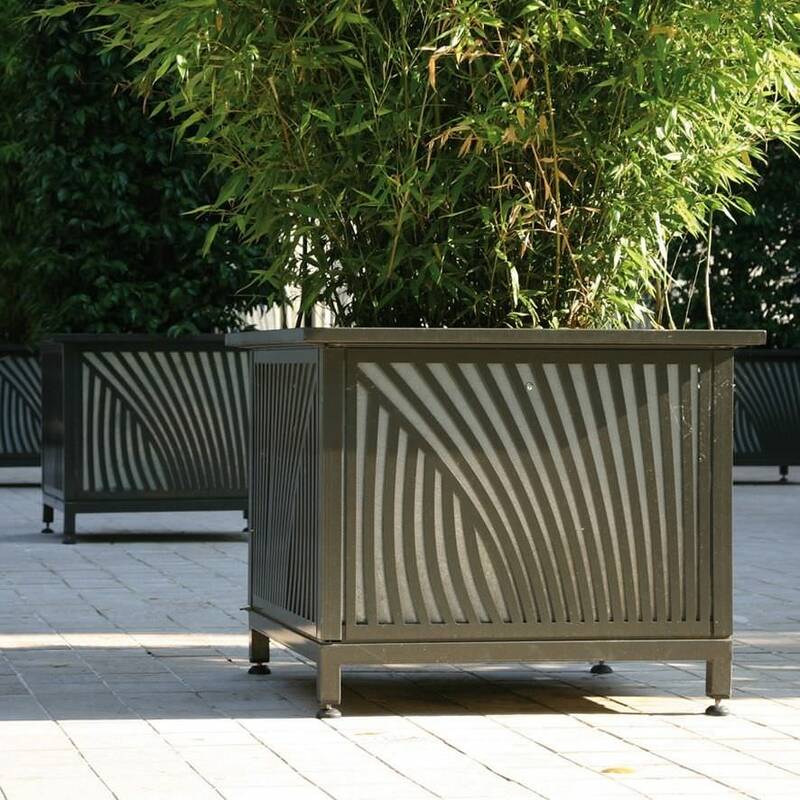 The planter offers a wide range of customizable claddings using laser cutting technology. The model comes in numerous sizes to suit all locations and choice of plants.